This time, I introduce the features of photogrammetry and how to generate a 3d model with it for beginners to understand easily. By reading through this article, you will be able to try it by yourself. 4 What object is suitable for photogrammetry? You can create various 3D models, from a small object like a figure doll to a large object like a building or a city, by this technique. As PC and photogrammetry software are getting higher performance, this technology becomes a technology anyone can handle it easily. Let’s prepare what you need for photogrammetry. For photogrammetry, you need a PC, camera and photogrammetry software. That’s all to start photogrammetry. Although it’s preferable to have a high-spec PC and a camera, a laptop PC and a smartphone’s camera also work sufficiently. The following table shows what you need for photogrammetry. PC Any PCs on sale currently can deal with photogrammetry. High-spec PC would finish the analysis quicker. Camera A high-spec camera like digital SLR is preferable, but a smartphone camera is sufficient enough for the analysis. You can create 3d model with higher precision by using a high-spec camera. 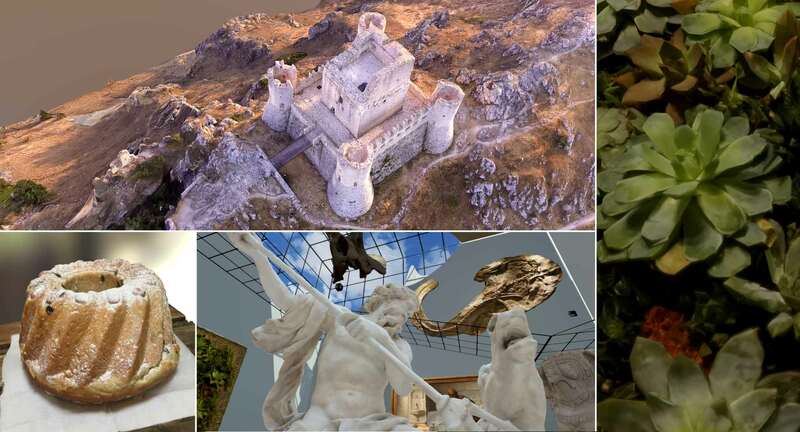 Photogrammetry software There are some commonly-used software, so you can choose from them. The cheapest option of the major software is around 15000 yen. There is also a free trial version. 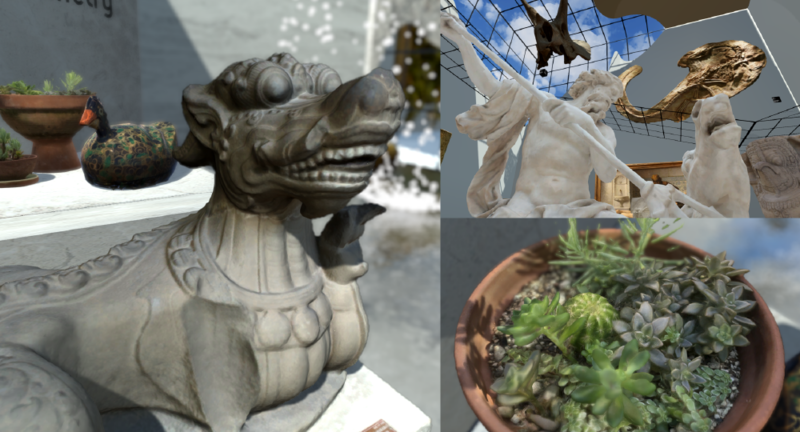 Each software has pros and cons, but any of them should be OK when you use photogrammetry as a hobby. 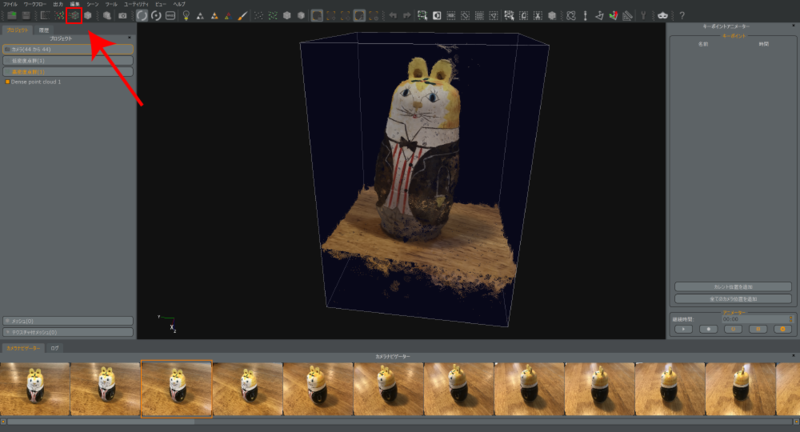 I selected some major photogrammetry software that are easy to use. please see below. Agisoft PhotoScan 27,000 yen approx. ※You need to get an estimate from the distributor. Windows / Mac The good news is that it supports MacOS. In this tutorial, I took the free trial version of 3DF Zephyr as an example. If you try using photogrammetry for the first time, I recommend you to choose the software after using this trial version of 3DF Zephyr. To download the trial version of 3DF Zephyr, access ‘Steam : 3DF Zephyr‘, and click ‘Download Demo’ (Alternatively, you can download from this site). On the other hand, smooth texture or bright surface is not suitable for scanning. Firstly, prepare an object suitable for scanning to make a decent 3D model. ・One with a lot of patterns on the surface. ・Smooth texture such as plastic, ceramic ware. ・A continuously-moving object such as a human, a pet. It is almost impossible to use for photogrammetry. ・Transparent material such as glass. ・Refrective surface such as a mirror. After preparing the object to scan for photogrammetry, take actual photos next. Take photos while varying the camera angle with a small step so that all surfaces of the object are covered by the photo. 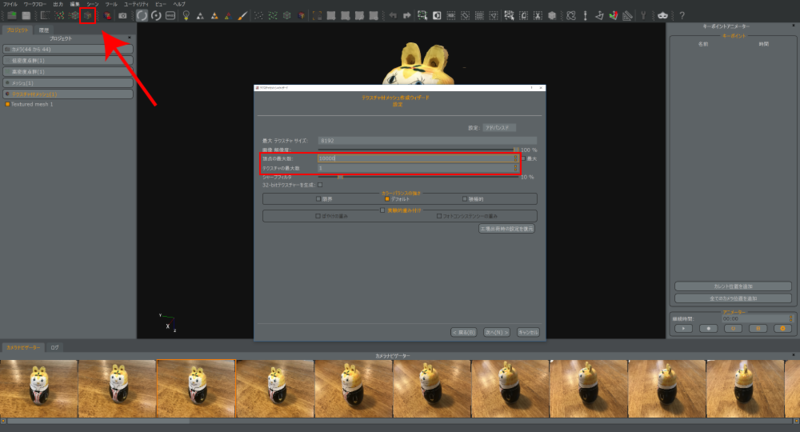 ・If you place the object to scan on a base, use the base with a rough texture, which is likely to give higher precision to the 3d model, compared to placing on the base with a smooth texture. ・Unsteady shot kills photogrammetry. Please keep calm to prevent a camera move when taking the photos. Once you finished taking the photos, let’s apply photogrammetry to them. In this tutorial, I use the trial version of 3DF Zephyr. When the software is opened, drag the photos onto it at first. It opens a new project. Drag the photos into the application. When the window to create a new project is opened, go ahead by following the Project Wizard. Some steps require you to set the parameters, but you can basically leave them the default values. After finishing some steps, you are asked to set the camera direction, so select the relevant option from the drop-down list of the ‘Category’ field. Since we took the photos of a small object on a table, choose ‘Close Range’. In the last window of the Project Wizard, press the ‘Run’ button to start the computation for camera orientation. It analyzes the camera positions when the photos were taken. When the analysis is completed, you see the screen as shown below. Even in this state, you can see the outline of the scanned object partially. The camera positions when the photos were taken. Next, set the bounding box. The bounding box shows the range for scanning. Initially, the bounding box is set to cover a large area, so resize it to the relevant size since you just need to scan where the object is. In the toolbar, there is the ‘hide/unhide’ toggle button for the bounding box, so press it to display the bounding box. After that, by using the Edit tools for the bounding box, which you can find next to the ‘hide/unhide’ button, resize the bounding box to the relevant size. 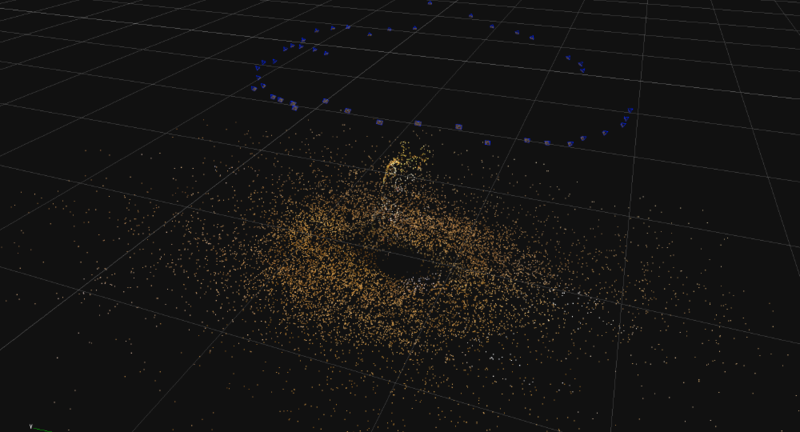 After setting the bounding box, create a dense point cloud. 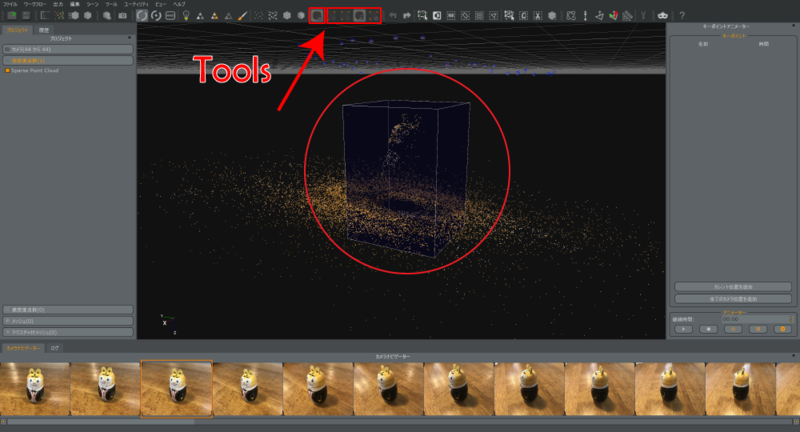 Press the ‘Dense Point Cloud Generation’ button in the toolbar to open the setting window. There are some parameters to set, but it’s OK to leave them the default values. Press the RUN button to start the analysis. Basically, this computation takes the longest time. Be patient. If you fed a lot of photos, it could take more than an hour. Once the dense point cloud is created, you can see the shape of the scanned object clearly. 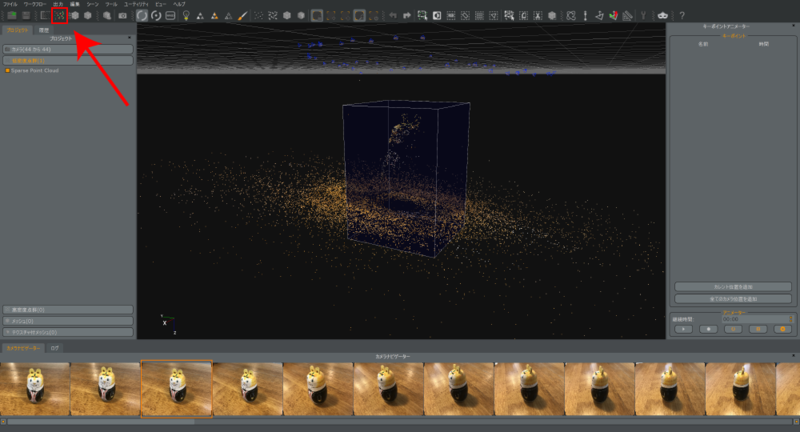 Next, we create a triangular mesh from the dense point cloud created. Press the ‘Mesh Extraction’ button in the toolbar to open the window. There are some parameters to set, but it’s OK to leave them the default values. Press the RUN button to start the process. This is the final step. We create a mesh with texture. Press the ‘Textured Mesh Generation’ button in the toolbar to open the setting window. In the window, set ‘Max number of textures’ to ‘1’ unless you really need to use a different value. If you set it to more than 1, the number of textures generated would increase so that the data size increases excessively. And, the same goes for ‘Max number of vertices’, so preferably limit it to 10000. In the case for VR, I recommend limiting it to 50000 although it depends on the complexity of the surface shape. When the setting is completed, press the ‘RUN’ button to start the computation. Once this computation is done, the 3d model is completed. 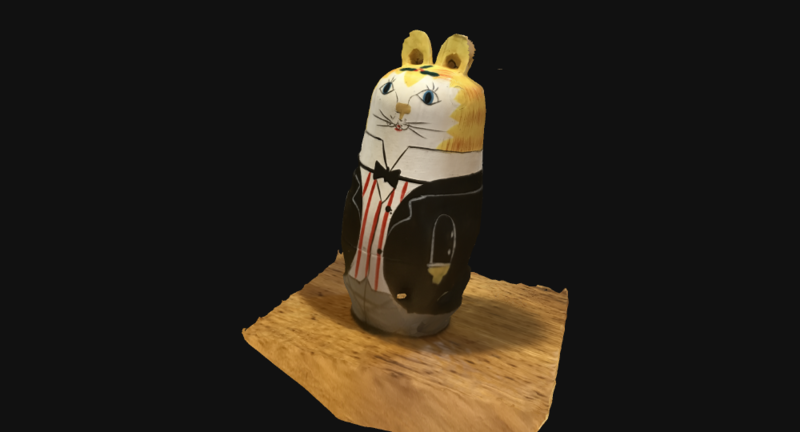 Let’s export the 3d model completed to upload to STYLY. 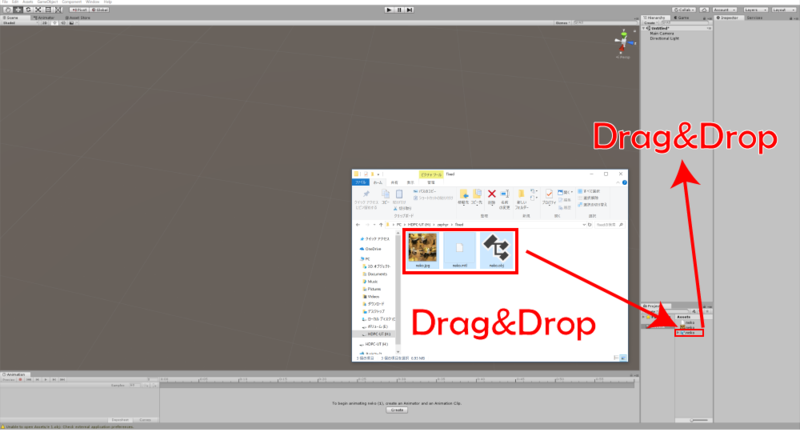 Press the ‘Export textured mesh’ button to open the setting window. 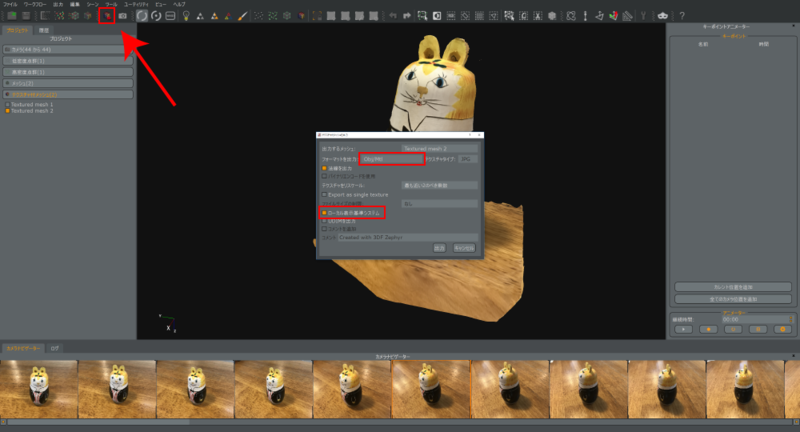 In the window, change ‘Export format’ from ‘Upload to Sketchfab’ to ‘Obj/Mtl’. 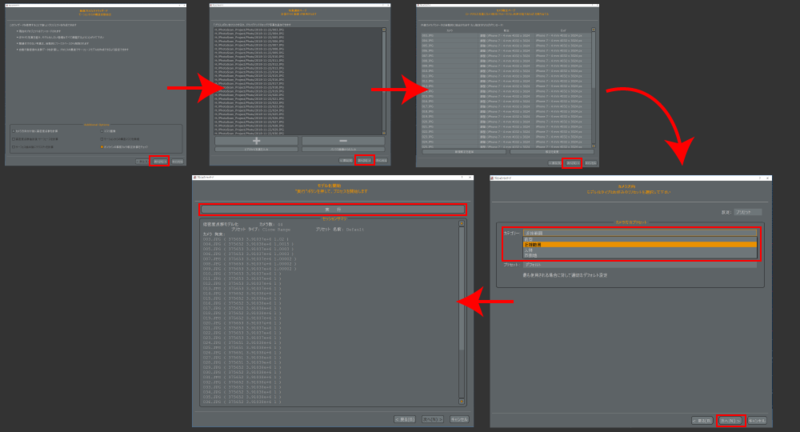 Then, check the ‘Local Rendering Reference System’ box. When the setting is completed, press the ‘Export’ button and specify where to save. 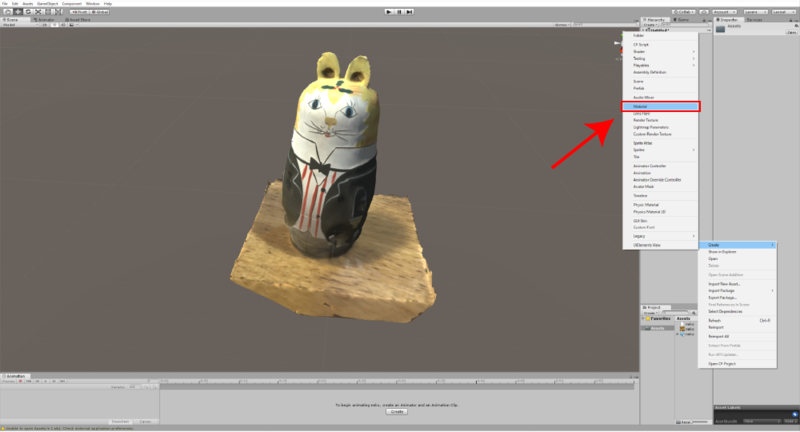 You can upload the 3d model completed directly by STYLY’s Web Editor, but it gives a different appearance from the one on the photogrammetry software due to the difference between the shaders. If you upload it via Unity, you could change the shader. So, I recommend it for the user who really cares the appearance. Select all data files exported and drag them onto the Project window to import. Then, drag the model from the Project window to the Hierarchy window to load the 3d model into the Scene. The 3d model imported should look different from how it looked on the photogrammetry software due to the difference between the shaders. Create a material to set a proper shader. Right-click on the Project window and select Create > Material. 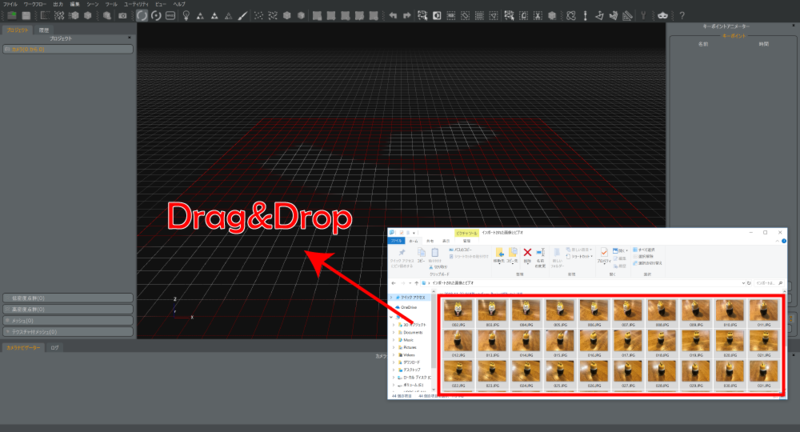 After creating a material, drag it to the model to load. Drag the exported texture into the ‘Albedo’ field of the material. Note that the object has been duplicated to compare the two shaders in the screenshot below. 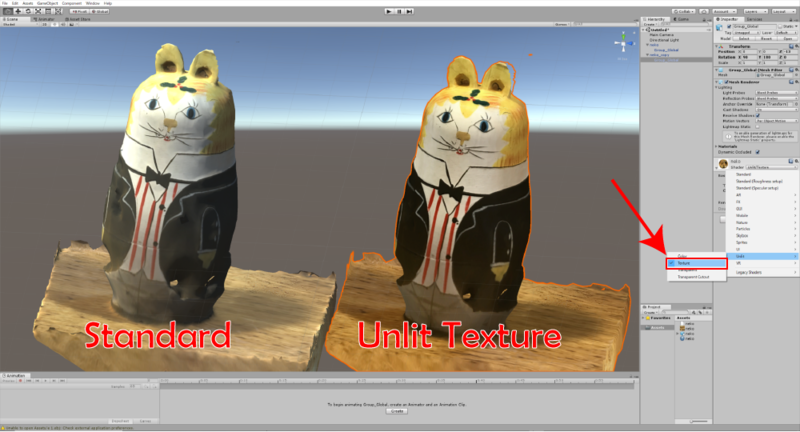 Finally, change the shader from ‘Standard’ to ‘Unlit Texture’. It makes the appearance similar to the one on the photogrammetry software. All you need now is to drag the 3d model in the Scene onto the Project window to convert into a Prefab and upload it to STYLY. 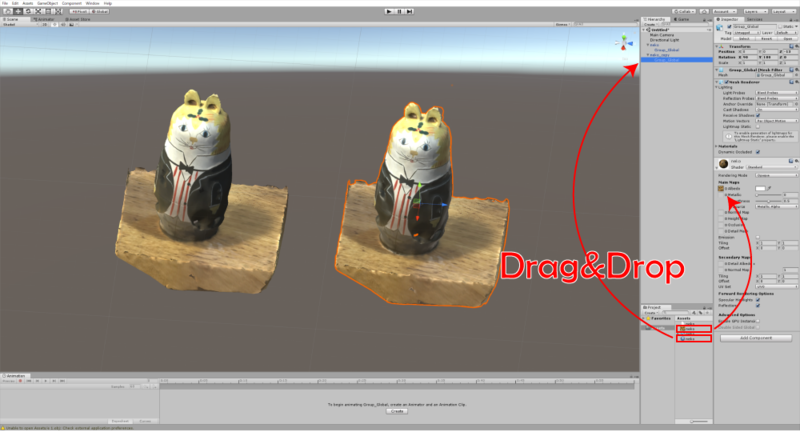 Please read the article below to learn how to upload assets from Unity to STYLY. You can use photogrammetry in various ways. You can use it to render your imagination, for example, clipping a street scene or scanning dishes to model the table in VR space. Please try it by yourself. It will help you to enrich your expression.